We couldn’t keep it in any longer! Inspired by our friends across the pond, we’ll be taking part in Black Friday this year by offering you 20% off ALL GROCERIES at Japan Centre Online! This means you can enjoy delightful discounts on an array of Japanese classics, like miso, tofu and a whole lot more without having to brave the nuttiness of the high street! 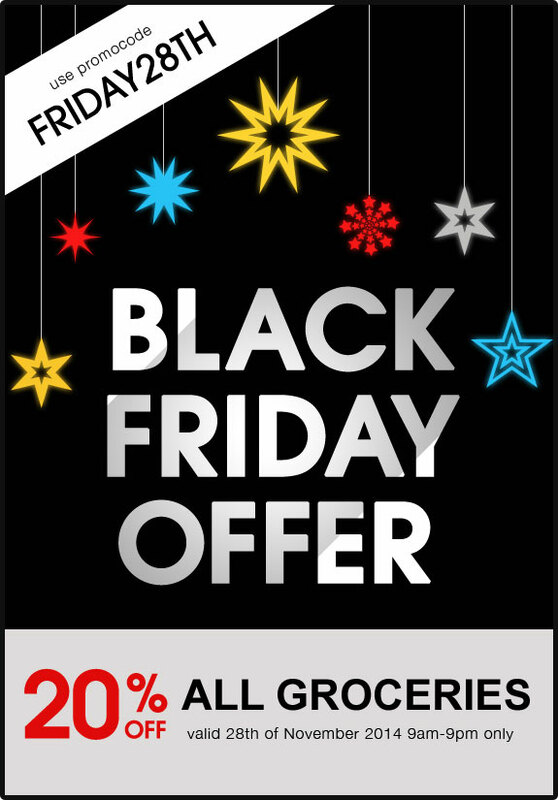 Remember, this dazzling offer lasts just 12 hours from 9am tomorrow, using promocode FRIDAY28TH! Posted in Uncategorized and tagged japan. Bookmark the permalink.